Time to BYOW, YYC. OK? Corkage has been a hot topic in Canada recently, thanks to last week’s announcement from the British Columbia government (finally) allowing diners to bring their own bottles of wine into participating BC restaurants. Here in Alberta, restaurants already have the ability to establish Bring Your Own Wine (BYOW) policies, and many have done so, generally charging a set per-bottle fee (called the corkage fee) in exchange for letting their guests arrive with their vino of choice. Although this option is widely available in Calgary, it seems like it’s only rarely exercised, as most people either don’t know about the possibility of corkage or would prefer to trust in the carefully-selected wines that a restaurant puts on its own list. 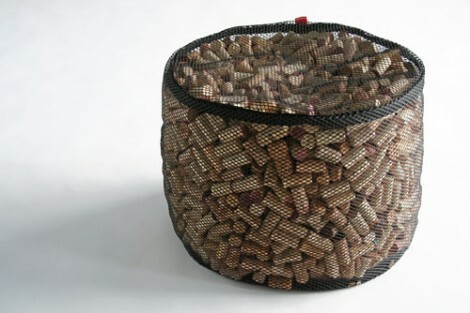 While I usually fall into the latter category, there are certain times — when I have a certain bottle that I’ve been dying to open, when I’ve had a less-than-stellar past wine experience somewhere, or when I want to bring a Wine For An Occasion to celebrate something special — where corkage comes in really handy. 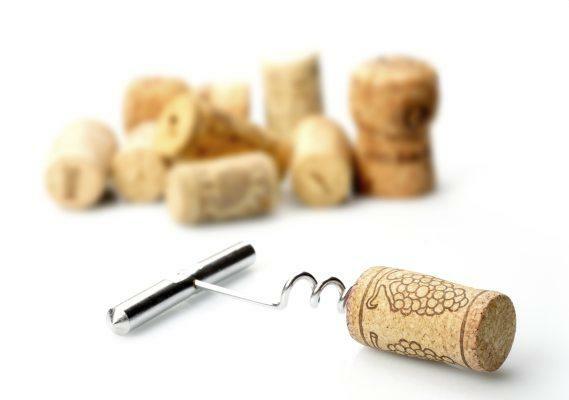 If you’re not sure about how the corkage process works, what the etiquette is around bringing your own bottle, and which places in Calgary offer BYOW service (and for how much), all your answers await below. Professional service can enhance the experience of drinking any bottle from your cellar…OK, almost any bottle. At this point, you may be asking yourself: “Why would I pay money to a restaurant just for the opportunity to drink a bottle of wine that I’ve already purchased?” From the restaurant’s perspective, a corkage fee is meant both to reflect the value of the service aspect of the wine experience (the use of glassware/decanters, washing, and the server’s/sommelier’s skills in opening the bottle, checking the condition of the wine, and keeping all glasses filled throughout the meal) and to offset the loss of revenue that results from your choice to bring in wine instead of buying a bottle off the wine list. Wine sales are a significant source of revenue for restaurants: since they buy in volume, restaurants are able to purchase bottles at or near wholesale prices (roughly 30-35% below retail in most cases), which they then usually price on their wine lists at 2 to 2.5 times retail price. Generally (but not always) lower-end wines are marked up more (up to and above 3 times retail), while more expensive bottles are marked up less (1.5 to 2 times). To do the math, if you have a bottle that costs $30 at your favourite wine shop, it probably costs a restaurant roughly $20 to buy it and it’s probably on their list at $60-$75, a 200%+ profit. Before anyone gets too up in arms about wine list markups, remember that running a restaurant, especially one that takes care to invest in its ingredients, culinary/management/service talent, decor, wine program, etc., can be massively expensive, and the margins recovered on wine sales can be a critical determinant of a restaurant’s financial viability. Some restaurants don’t offer corkage because they simply can’t afford to: the margins recovered on food sales aren’t enough by themselves to keep the business afloat. The mathematical intricacies of restaurant wine pricing also answer the corkage question from a diner’s perspective. The reason why you would want to pay good money in corkage for the privilege of bringing a pre-purchased bottle into a restaurant is that the whole transaction (bottle cost + corkage fee) will usually cost you less than if you ordered an equivalent bottle off the wine list. If you buy a $30 bottle and pay $20 corkage, you’re shelling out $50 to drink that bottle at a restaurant when other $30 retail bottles are likely priced at $60-$75 on the list — 20% to 50% more. The more expensive your bottle is, the better your savings, even with the reduced restaurant markup on pricier wines: a $60 BYOW bottle would cost $80 after corkage (sticking with our $20 corkage example) but would likely be $100-$135 on the list (25% to 69% more), while a $120 bottle would cost $140 after corkage but would likely run $180-$250 on the list (29% to 79% more). The only time corkage tends to get financially questionable for you is when you’re crossing the threshold with a $8 bottle of Yellow Tail or something similarly inexpensive; corkage fees tend to double as disincentives to hauling along cheap critter wine to a meal out. 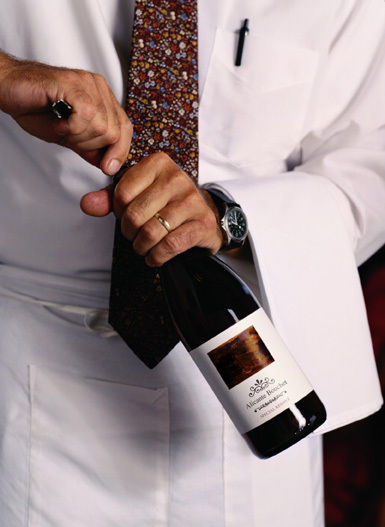 As long as corkage is economically workable for a restaurant, it can be a win-win proposition for both sides, replacing a proportion of the business’ profits lost to non-list purchases while giving consumers the ability to enjoy higher quality wine with their meals at a lower overall cost and allowing them limitless vinous options beyond the four corners of a wine list. If possible, let the restaurant know in advance that you’re planning on bringing a bottle in. 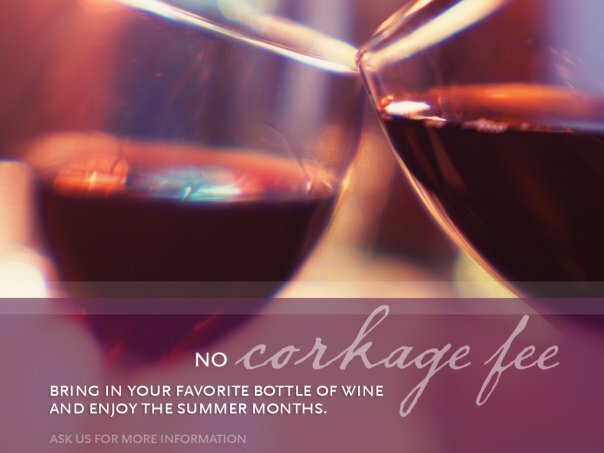 That way you’ll be made aware of any recent changes to the corkage policy and everyone will know what to expect. Don’t bring homemade wine into a restaurant — I’ve been advised that it’s an ALGC rule that the bottles opened in a restaurant pursuant to a corkage program must be store-purchased. Having previously brought a straight-from-the-winery bottle (and an unreleased, unlabelled one at that) with me to a nice resto for dinner, this was news to me, but I’ll know for next time…sorry, ALGC. Don’t bring a bottle into the restaurant for corkage purposes that is already on the wine list…this basically equates to directly taking money out of the restaurant’s pocket. This may require a double-check in advance, but most places post their lists online nowadays for easy reference. Order some alcohol off the restaurant menu in addition to your corkage wine — grab a glass of bubbly to start off or some Port, scotch or brandy to go with dessert. That way you can support the in-house wine and spirits program while still taking advantage of the BYOW policy. Offer your server/sommelier (and, if it’s a great/rare/special bottle, the chef) the chance to pour themselves a small taste of what you’ve brought in. Wine is for sharing, and there’s no better way to build a rapport around the table than giving someone the opportunity to experience a bottle that excites or intrigues you. Keep the value of the wine (and not just the amount of the corkage fee) in mind when calculating your tip on the bill at the end of the night. Some people choose to tip a percentage of the retail value of the wine; others tip a percentage of the wine list price of a relatively inexpensive bottle offered at the restaurant. I think the individual circumstances will largely determine what level of tip is appropriate, but the main principle is to make sure that the server/sommelier (who does the same amount of work whether a wine is off the list or brought in) is not short-changed by the fact that you opted to BYOW. 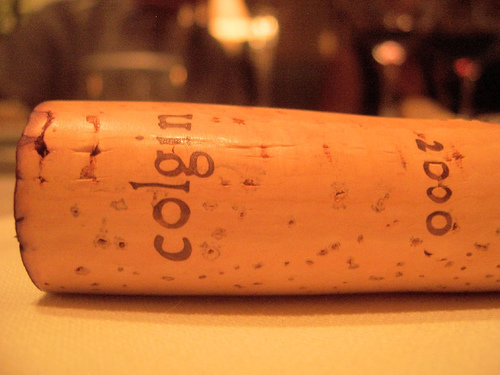 Now that you know what corkage is all about and how best to make use of it, the obvious follow-up is: where to go? What places in town offer BYOW arrangements, and on what terms? In an attempt to answer this question, I canvassed over 60 restaurants in the Calgary area and asked for information about their corkage programs. Over 90% of them responded, so below is everything you ever needed to know about where you can go for corkage in our fair city, divided into 4 categories based on the wallet-friendliness of the BYOW policy. Restaurants are sorted first based on the attractiveness of their program and then alphabetically; click on the name of each restaurant to go to its website for address/contact information. Diner Deluxe (Crescent Heights): $15 corkage, free on Wednesday nights — and on Wednesdays, DD prepares feature “red” & “white” flatbreads that pair with the wines brought in! This is the coolest thing ever. Murrieta’s (Downtown): $25 corkage, BUT free IF the bottle is purchased at The Cellar wine shop on Stephen Ave.
Over half of the restaurants who responded (32 out of 56) offered some form of corkage program, giving Calgarians a vast range of options if they want to head out to eat with a bottle under their arm. Those restaurants who elected not to offer BYOW options primarily cited the economic impacts of such an arrangement and the time/money/energy devoted to their in-house wine programs (often built to complement their specific menus) as the main reasons behind their decision. The point of this piece isn’t to question or criticize those places that do not offer corkage — many of whom have impeccable wine programs, and for some of whom corkage just simply isn’t feasible — but instead is to give you as comprehensive a guide as possible about BYOW in Calgary, a one-stop shop for all Cowtown corkage-related matters. Thanks to all of the restaurants for their help in getting this list together; we are blessed in this town to have a plethora of amazing dining options at our disposal, and it was a pleasure to discover how much thought each of them has put into the glorious interaction between food and wine. Eat, drink and enjoy! Great info and great list! Thanks for going out of your way to contact all those restaurants, Peter! Thanks a lot Vincci, much appreciated! !